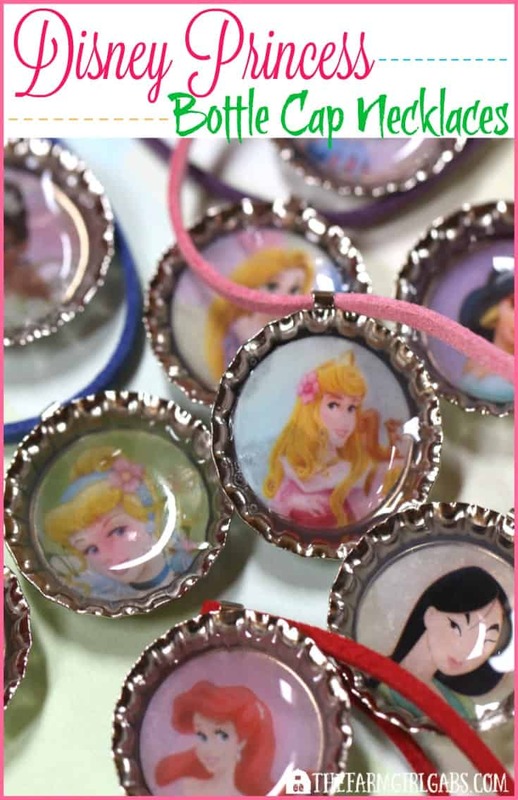 These Disney Princess Bottle Cap Necklaces are a fun and easy jewelry craft for the princess in all of us. Which one will you wear? I have this theory that you are never too old to have a favorite Disney princess! I happen to have a few favorites. No, I have more than a few. I like them all. 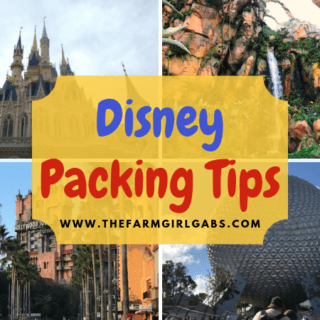 I am “that girl” who makes every effort to visit them (and have a photo snapped too) every time I visit Walt Disney World. Each of them has a unique story that is so relatable to everyday life. So why not celebrate them. I think we have all dreamed of becoming a princess at one point in time, haven’t we? 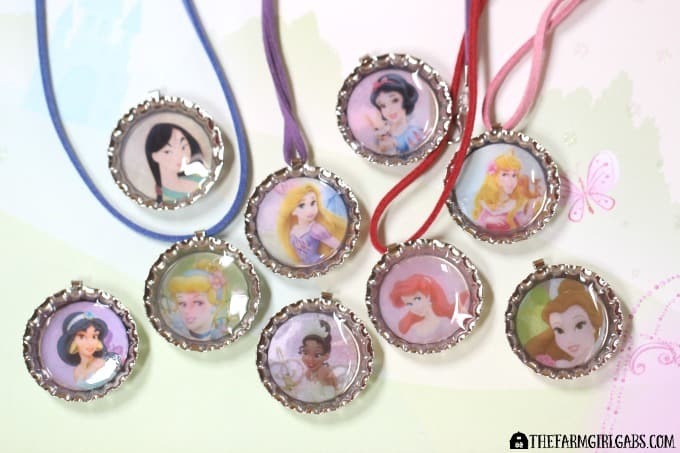 These Disney Princess Bottle Cap Necklaces are the perfect way to get our princess on. With some Disney Princess scrapbook paper, you can easily make one of your favorite princess or all of them like I did. 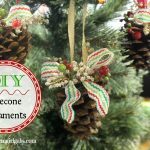 Did I mention how easy this craft was? Start by using a 1″ round punch to cut out the head of your favorite princess. Take some rubber cement and glue the princess cut out to the center of the bottle cap . Slowly squeeze some Mod Podge Dimensional Magic in the center of each cap. Fill 3/4 full. If you see a bubble, don’t worry. Just use a pin to pop the bubble. The Dimensional Magic will be cloudy at first but will dry clear. Allow to dry for 24 hours. 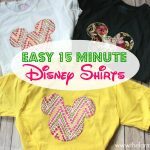 After you let the caps dry you can add your favorite color cord and proudly rock your Disney Side…..or maybe I should say Princess Side. Which one will you wear? It’s a toss up between Rapunzel, Cinderella and Ariel for me! This is such a great craft! It would be a great activity for a princess birthday party! Thanks for sharing! How do you attach the cord? This is a greatness idea! Where can these be purchased?